서울--(뉴스와이어) 2010년 06월 15일 -- Following the global debut of the Galaxy S, Samsung’s acclaimed new smartphone, Samsung is reinforcing its leadership in the market. A compelling lineup of devices based on Android, Windows Mobile, and bada, Samsung’s own smartphone platform, will be on display at CommunicAsia 2010 in Singapore from June 15 to June 18. The complete portfolio includes the Wave 2 and Wave 2 Pro bada based smartphones, the Android-powered Galaxy Beam, Galaxy 3 and Galaxy 5, and the Windows Mobile 6.5-based Omnia Pro 4 and Omnia Pro 5. This powerful and diverse smartphone lineup reinforces Samsung’sposition as a design-led, forward-thinking company. Driving and fulfilling consumer demand for innovative new technologies and lifestyle experiences, Samsung truly provides a Smartphonefor Every Lifestyle. The Samsung Galaxy S (I9000) introduces a totally new class of smartphone with a wealth of intelligent, immersive and integrated lifestyle experiences. Featuring Samsung’s dazzlingly bright 4-inch Super AMOLED screen and a 1 GHz application processor, the Android-powered Samsung Galaxy S is designed to provide best-in-class services and technologies. It will introduce people to the concept of the “Smart Life” – a smartphone experience that is simple, organize and integrated; one that enriches the lives of users. The Galaxy S features Samsung’s super-fast TouchWiz 3.0 user-interface (UI), giving users instant access to their mobile lives. The Smart Life is further enabled through intuitive, integrative features, including the Swype text input service, the rich augmented reality browser, Layar, and advanced Location Based Service (LBS) capabilities. A variety of applications available from Android Market and Samsung Apps will allow users to extend the benefits and excitement of the smartphone experience even more. Users have access to Google mobile services, such as Google Search, Gmail, and Google Maps. The Samsung Galaxy S has been extremely well received by retailers and operators around the world; over 100 mobile operators across the globe have selected the Galaxy S as their key smartphone market driver. The Galaxy S is now available in Singapore and will be gradually expanded to the global market. Samsung’s latest Android lineup includes the Galaxy Beam (I8520), Galaxy 3 (I5800), and Galaxy 5 (I5500). Introduced earlier this year at CES 2010, the Galaxy Beam, an android-powered mobile projector phone, is now launching in Singapore. The Galaxy Beam is the world’s first smartphone equipped with a beam projector along with powerful multimedia features such as an 8 megapixel camera, HD video recording &playing, and a 3.7 inch Super AMOLED WVGA display. 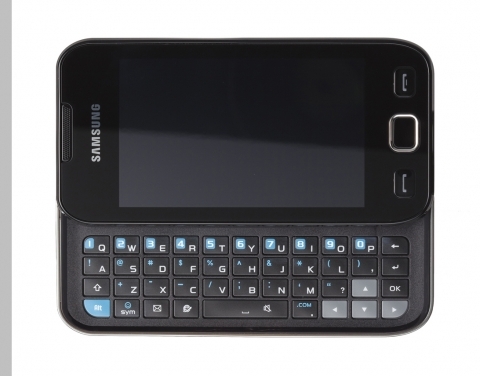 The Galaxy 3 (I5800) is the latest android-powered smartphone offered by Samsung, delivering a rich multimedia and social media experience. The Galaxy 5 (I5500) is especially targeted at the youth market, which wants to stay effortlessly connected on-the-move. Mimicking the well-known Corby design, the Samsung Galaxy 5 is the perfect fit for the style-conscious user. The Galaxy 3 and Galaxy 5 will be available in the European and Asian markets in July and the Galaxy Beam will also launch in July for Singapore customers. 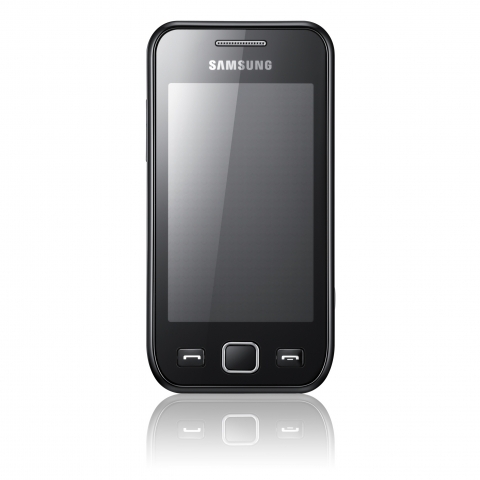 The Samsung Wave 2 (S5250) and Wave 2 Pro (S5330) will be available from August in Russia and the Southeast Asia region. Customers can choose from the colors metallic black, pearl white, and romantic pink. For young business professionals, Samsung introduces the Omnia Pro 4 (B7350) and Omnia Pro 5 (B6520), Windows Mobile 6.5-based smartphones. These devices are powerful business tools that bring efficient communications and an integrated social experience to busy work schedules. The Samsung Omnia Pro 4 will be available from July in Europe, CIS and Southeast Asia whilst the Omnia Pro 5 will be available from August in Southeast Asia, Middle East & Africa, India and Latin America. Samsung will display its commitment to 4G wireless technology, including Mobile WiMAX and LTE, with various device and networking demonstrations held at CommunicAsia 2010. The technologies exhibited include the 3D live video streaming via LTE network and FMC (Fixed Mobile Convergence) live demonstrations via Mobile WiMAX network. Please refer to attached fact sheets for full product information. For further details of product information and hands-on experience, please visit the Samsung Booth 3L3-01 at Hall 3, Singapore Expo. 삼성전자는 반도체, 통신, 디지털 미디어와 디지털 컨버전스 기술을 보유한 글로벌 리더로, 2016년 200조원의 매출과 28조원의 영업이익을 달성했다. 전세계에서 9만6898명의 직원을 고용하고 있으며 세계 51개국에 90개가 넘는 오피스를 열고 있다. 삼성전자는 디지털 어플라이언스 부문, 디지털 미디어 부분, LCD부분, 반도체 부분, 통신 네트워크 부분 등 5개 부문으로 이루어져 있다. 세계에서 가장 빠르게 성장하는 브랜드인 삼성전자는 스마트폰, 디지털 TV, 메모리 반도체, OLED, TFT-LCD 분야에서 세계 선두 주자이다.